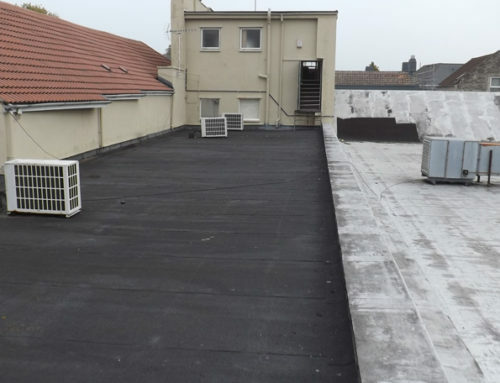 So why do we think an EPDM rubber roof from Thermal Roof is the best flat roof in the world? Well as Alexander from “Compare the Meerkat” would say – “simples”! In order to work out what makes a “best roof in the world” first of all lets see what we want a roof to “do” for us. 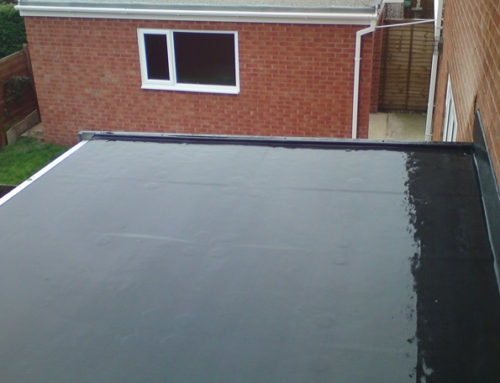 1) Keep you and your property dry – This is fundamentally the main job of a roof after all. Most flat roof systems on the market do this… I say most because if you could see some of the terrible botched jobs we get called out to, you’d realise that some roofs aren’t even capable of undertaking this very simple task. But assuming your flat roof keeps the water out the day it’s built, 99% won’t do it forever – in fact some won’t do it for very long at all. What many don’t realise is that many other roof coverings also come under the “temporary” category. Felt is one, fibreglass is another. Whilst fibreglass CAN be quite strong, do not confuse the nice solid fibreglass mouldings you see making up structures with what you will get if you have your roof done in it. Typically a boat (for example) will be made up of many layers of very heavy duty resin and hand laid, cross ply matting. When “built up” it will usually be around 16-25mm thick (3/4 – 1 inch thick) and is very strong – however as anyone who’s ever bumped a boat into a marina wall will testify, it’s very brittle and cracks easily (Cue red embarrassed face) – in fact ask any boat owner if they would have fibreglass on the roof of their house and they’ll tell you no. However fibreglass roofs aren’t that thick. 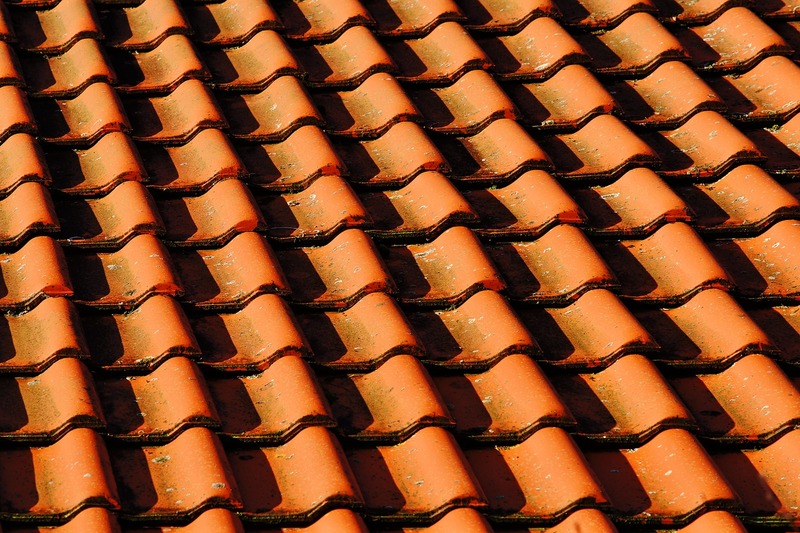 The typical roof you will see are usually laid up with 1 layer of 400g matting – which is around 0.6 – 1mm thick. Now if you want to see how strong that is, get a 0.6mm piece of hard, rigid plastic such as Perspex and try and snap it – it’s easy! 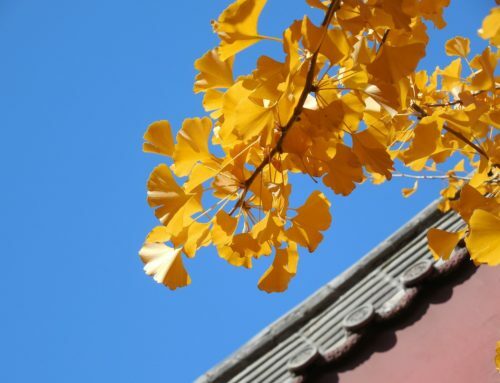 Bear in mind roofs and buildings in general move – they sway and they expand and contract in the heat – fibreglass can’t flex with the building and the movement in the roof, so it cracks. 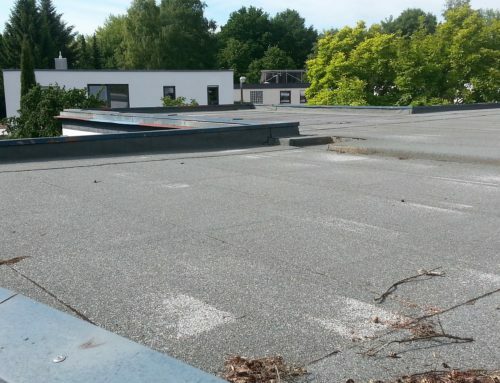 So that brings us on to number 2 in our “what we want our roofs to do for us list”…. 2) Last forever – Fundamentally that’s what we want pretty much anything to do don’t we? Doing something right means that (theoretically) we only have to do it the once. Now with consumables that’s not true – no matter how good a Ribeye steak and chips is, it’s only going to be used the once – it won’t last forever and it will need to be replaced – preferably with another nice juicy steak…. 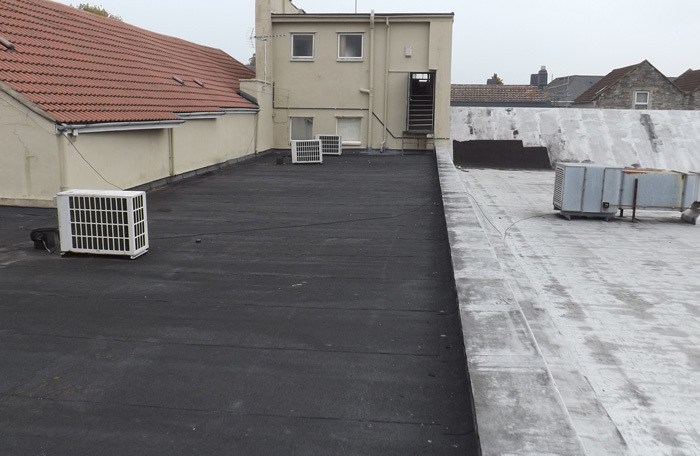 On the other hand one of our EPDM roofs will last well over 53 years – and quite possibly a lot longer than that – if I’m still writing these blogs in 50 years time I am very confident I’ll be predicting a 103+ year lifespan. These roofs just do not deteriorate!! Compared to any other roofing material I know of, this lifespan is amazing. 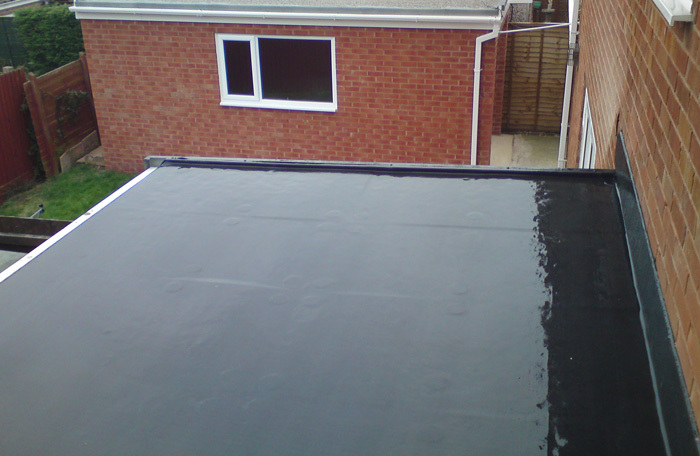 Felt dries out and ages, and then cracks – with our current climate you are typically looking at a life of 5-10 years for a modern felt roof. Fibreglass cracks – typically within 5-10 years although SOME roofs will last longer they are probably the exception rather than the rule – and we’ve been to some that have cracked within 6months of being laid. Now, if a roof is laid THAT badly, what do you think the warranty support is like? Nearly a third of our work is overlaying failed fibreglass roofs, most of which are less than 5 years old and they all had a 25 year “guarantee” with them – yet the company who laid it don’t want to know! Heat welded plastics – These systems are excellent – BUT being typically 1-1.5m wide they need lots of joints on your roof which means your roof is only as good as the weakest weld or joint – and that’s a lot of reliance on human skill…. Also, if you seam weld them by heating, it stands to reason that heat affects them – which means they will be affected by the sun…. 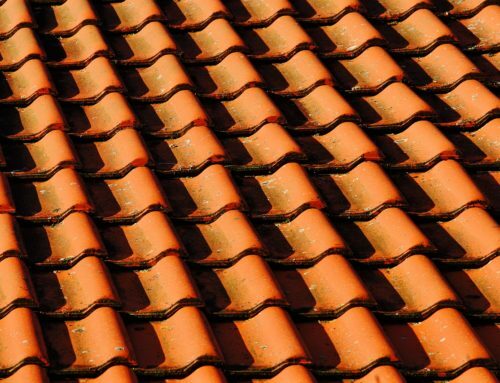 3) Warmth – Well all roofs will keep you warmer than no roof at all in the winter. However a roof from Thermal Roof comes with one or two layers or lovely insulation to keep your home that bit warmer and snugglier – which in winter is something else we all want from our roofs…. So in summary – WE think we do the best roofs in the world, and 99% of all our customers seem to agree with us (it might be 100% but that would be bragging!). What is remarkable is that our roofs don’t cost a fortune – in fact they are very competitive when compared with vastly inferior products which is why we fit so many! Why don’t you get us to come round and let us show you WHY our roofs are amongst the best in the world. Call 0800 032 0722 for free, friendly advice.